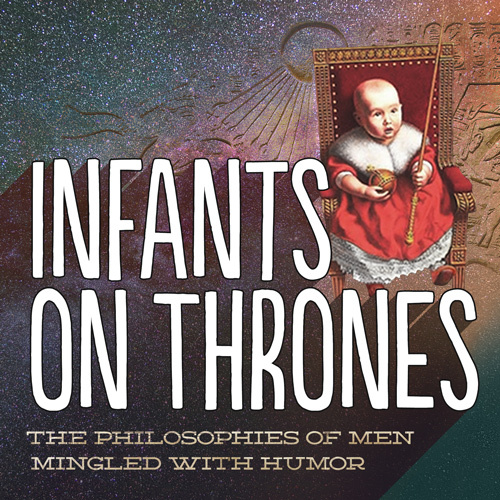 Infants on Thrones released its first episode in August 2012. It is an entertaining podcast about self-awareness and discovery following a Mormon faith transition. The title is an homage to the Mormon Prophet Joseph Smith who said that “Eternity is full of thrones, upon which dwell thousands of children, reigning on thrones of glory, with not one cubit added to their stature,” (King Follett Discourse). It is a funny image, but it also suggests that we, as amateur podcasters, do not really have all the answers we may think we do. We can’t take ourselves too seriously. We are also Infants on Thrones. You can contact us at infantsonthrones@gmail.com.